Weekly Sagittarius horoscopes for the 13th-19th May 2018 – with a difference! We tell you the planetary weather, and you decide how you will plan around it! Will you take an umbrella? Will you dance in the rain? Or will you fall in a puddle? Same weather, different outcomes! This astrological weather report for the 13th-19th May 2018 is for people with predominantly Sagittarius energies in their chart. For example, this could be if Sagittarius is your sun sign, rising sign, or moon sign. By seeing what zodiac sign the moon is traveling through, we can work out which areas of life you will instinctively reflect upon for a day or two, and how the energy “weather” will interact with you. If you think back to around seven years ago, you may see that your life was in a radically different place to where it is now. A change occurred to bring you where you are today. Currently, we are now on the precipice of another such monumental change. Conflicting energy: You may feel that your limited funds are throwing rain on the parade of your fun, and romantic pursuits. Opportune energy:You have a wonderful opportunity to indulge in romantic adventures with a significant other. Focus altering energy: A catalytic event may impel you to communicate about your romantic or creative needs. Conflicting energy: You may feel that your romantic or creative expression is at risk from your anger surrounding your finanical situation. Strong energy: Something unpredictable that happens in your romantic life may cause you to feel insecure. Alternatively, your creative expression may unexpectedly be infused with great emotion. Strong energy: You feel strongly about communicating your security needs regarding your health and your day job. Harmonious energy: Restrictions in your finances may encourage you to be more productive in your day job. Opportune energy: Your insecure foundations may motivate you to do whatever it takes to improve your health, and be more productive in your day job. Projected energy: Pressures associated with dealing with health matters, as well as obligations to your boss, may see you abandoning the rat race for a period of time. You are able to find your usual Saggitarius optimism and motivation when focusing within. Harmonious energy: As you devote time and energy to your work and health, you may find that your values are becoming more authentic. New Moon energy: Your intuition about how to move towards improving your health, and productiveness at work, will overshadow any instinctive insecurities that have been holding you back. Universe changing energy: A catalytic event will initiate changes to your perception of your health, and how you run your day to day life. Things may radically change in your day job. Harmonious energy: Your drive to improve your financial situation hits a peak. Consequently, this brings benefits to your health situation, and increases your ability to deal with your day to day obligations. Focus altering energy: You begin to actively communicate in order to get what you need and want. Focus altering energy: When communicating your health needs, and any needs at work, it is important to avoid aggression when confronted by unexpected news. Exercising innovative ways to communicate in an assertive way will ultimately bring many long term benefits. Conflicting energy: You may feel disillusioned the security of your foundations. Consequently this may impel you to moodiness when with a significant other. Strong energy: A significant other may express love towards you that helps you feel more secure. Opportune energy: Catalytic events in the area of your health and day job will help you to reevalutate your mortality. However, this may become a positive motivator as you reevaluate your life, becoming enthused to look after yourself, and your loved ones, more passionately. Combined Opportune and Oppositional energy: Ironically, restrictions in your financial situation enable you to gain clarity and logic about your health and practical obligations. Now is the time to write up a budget and to do list. Certainly, this will help you to climb up the ladder out of the rock and a hard place. Harmonious energy: An outside source may notice your insecure home situation, and offer assistance. Harmonious energy: When you feel any of your fears rear their ugly head, you are able to allay them when dipping into your inner well of optimism. 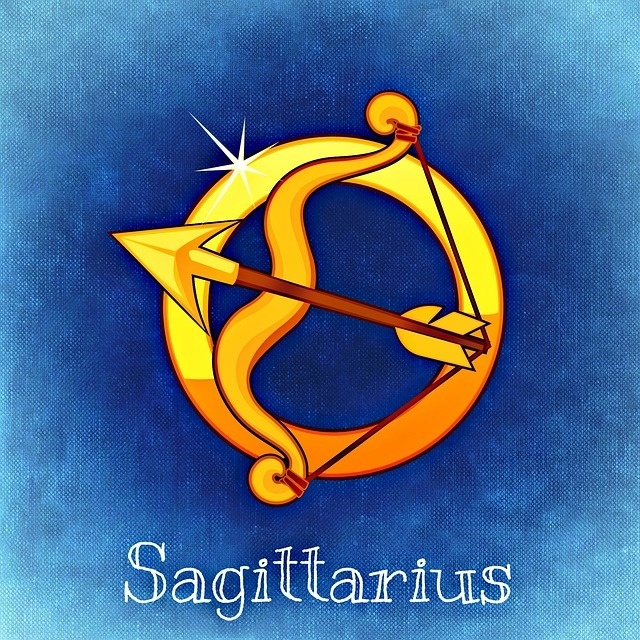 Consequently, you may seek out time in solitude to rediscover your typical Sagittarius positive attitude. Oppositional energy: You may feel strongly gripped with fear about the difficulties in your finanical situation. Focus altering energy: An outside source may arrive for a short period to offer you support. Also, if this is a signficant other, it could be that this loving assistance deepens intimacy between you both. Universe changing energy: Despite the enormous and unexpected changes to your health, and situation with your day job, outside assistance is available. However, this is only if you are willing to take it.